First off, this is not really a Skype for Business post, and I do not pretend to be a Dev, so if you are looking for in depth coding then there are others out there who are way better than me. However, I wanted to share with you a method that can be easily adopted to give your PowerShell scripts a nice User Interface. 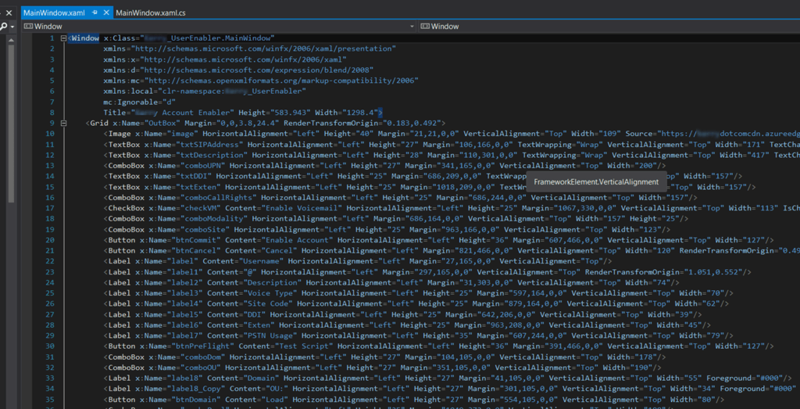 Previously, designing a UI in PowerShell meant you had to either write hundreds of lines of code referencing the Windows.Forms library, drawing out objects, assigning styles to them etc. etc. Or buy expensive software such as Sapien’s PowerShell Studio that did most of the heavy lifting for you, but you needed to be somewhat of a PowerShell wizard to create even basic scripts. Neither solution for me was ideal, PowerShell Studio just made my head hurt, while going old school and writing line by line was inefficient and often a simple script would bloat out from 50-60 lines of code to easily 2 or 300 lines. This of course may be down to my n00b coding skills but I imagine there are many people out there like me. 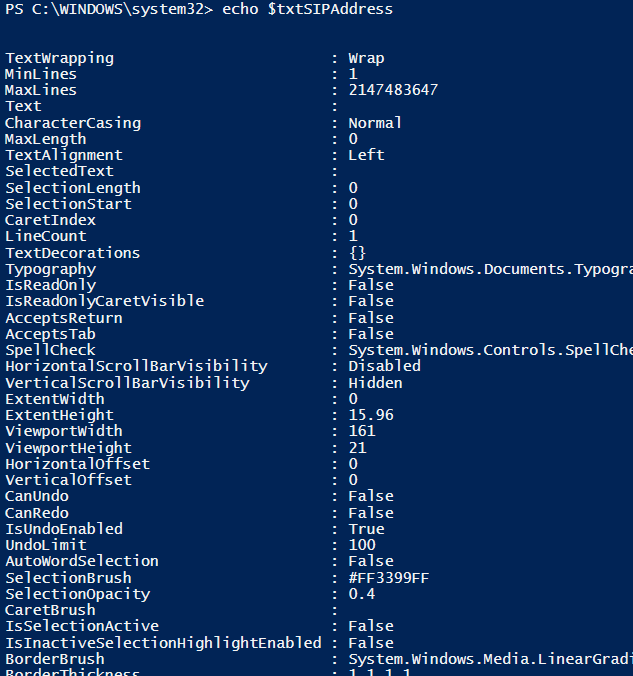 Looking around, I found a few projects that had made PowerShell modules you could reference to build your UI, but still there was a dependency on that module being installed on the system the script would eventually run on. I stumbled on a forum post that suggested to use Visual Studio to build your UI and then import it into your PowerShell script. I have never used Visual Studio before, mainly because I am scared of it and didn’t really know where to start. Plus I am an impatient man, so I just wanted to get things working as fast as I could. However, I was astonished how easy it was. The process is really simple. Create your UI in Visual Studio using.. you guessed it, a UI to design your UI, drag and drop, select component etc. Once complete copy the code to your PowerShell script, convert into variables, then reference the variables in your code to “do stuff”. Use the Properties of each control to give them a unique name. This is what will be referenced later as a variable in PowerShell. It is important that you do NOT have any duplicates! You can use this then to build your UI and populated combo boxes, check boxes etc. All in the same manner. Again, Dev Pro’s will probably be squirming at this method, I am sure there are better ways to code, but more me I am happy with this method for now, until I get more confidence and start to explore the art of the possible. Hope this helps you on your journey!